Reliance Industries' eastern offshore KG-D6 gas field has seen output drop to 29 million units a day, against a planned 80 million units, causing acute shortage in power generation, Oil Minister S Jaipal Reddy said on Tuesday. "There is severe shortage in availability of gas in the case of KG basin. 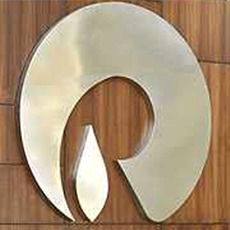 (RIL's) KG basin (field) was to produce 80 million standard cubic meters per day (mmsmcd) in the current year. "As against 80 mmsmcd, it is producing only 29 mmscmd," he told reporters. Reddy said Andhra Pradesh, his home state, has been most hit as cut in gas supplies to gas-based power plants have added to the drop in electricity generation at hydel power plants due to drought and thermal plants due to coal shortage. power plants across the country so that requirement of one power station at Dabhol in Maharashtra is met to the full. The Oil Ministry had last week ordered RIL to use the dwindling KG-D6 gas field output to first meet full requirement of Dabhol power plant in Maharashtra and supply any remaining output among the 24 other power plants. That decision, Reddy said, was taken by an Empowered Group of Ministers in 2008. "I will consult all other ministries to see what can be done," he said. Power plants currently get about 12 mmscmd of gas from KG-D6. They would be left with hardly 4 mmscmd after 7.6 mmcmd is first supplied to Dahbol plant as per the Ministry order. In Andhra Pradesh, supplies to power plant will reduce by 2 mmscmd, resulting in 400 MW of electricity generation being effected.